Is the Shadow of Freedom worth reading? 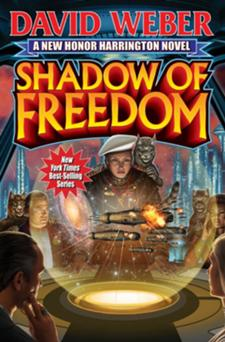 Shardow of Freedom is book written by David Webber, and is the fourteenth of series (or third or twentieth depending on how you look at it), so if you haven’t read the previous thirteen there probably isn’t a lot of this review you will understand. The only reason I am writing this review is to vent on the internet. This book was originally part of A Rising Thunder, but because of length they made it its own book, and because of that I was hoping it would make a good second half to A Rising Thunder. It does not. It turns out is more like the third Saganami Island book about Admiral Michelle Henke and the Talbott Cluster. It does have a better ending then A Rising Thunder, but that is not difficult. This book commits the same sins as a lot of the more resent Honorverse books in that it introduces a lot more new characters that you don’t care about, and most of the action takes place around a conference table then in giant space battles, and I am a big fan of giant space battles, less so conference tables. The bad guys in this book are also uninteresting, they are either evil and dumb, The Solarian League, or evil and twirling their mustaches in the background, The Mesan Alignment. Plus the Solarians are so out classed as far as tech and firepower goes, that the strategy is how to win with killing the least amount of bad guys, so The Star Empire of Maticore isn’t even threatened in this book, so there is nothing to get worried about except that maybe the Mesan’s will do something, they don’t, but I assume they have a great maniacal laugh. I keep reading these books hoping they will get back to what made them great in the first eight books. With exciting action and Machiavellian strategy, but instead they have taken a turn for more characters and more conference tables then I can count. I would like to say this is the last Honor Harrington book that I am going to read, but they used to be so good that I know I will keep reading and hoping for their return to glory. As we move towards movie season 2013, I thought it might be fun to list my top 10 movies that I want to see this year. Here they are in descending order. A movie about a war with Zombies? Count me in, though it has fallen down my list due to a number of script rewrites and people saying that they completely changed the story from the book, but it is still a movie about a war with the undead so it sneaks in at number 10. 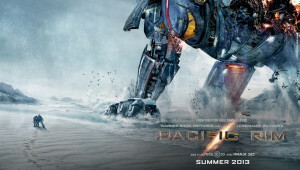 Orson Scott Card’s book finally makes it to the big screen. If falls to number 9 since I think this is a hard book to convert to a movie with all the internal monolog of Ender, plus they need to find a ton of good child actors. This is a movie about the Rest In Peace Department, a group of dead cops that move people and monsters to the other side. I am hoping that Jeff Bridges can make Ryan Reynolds tolerable. A sequel to Thor with the Dark Elves? Yes Please, and Disney/Marvel hasn’t let us down so far. I loved the books and was caught off guard when the first movie was as good as it was. I won’t be again, and I hope they keep the quality up. Zack Snyder (Watchmen and The 300) and Christopher Nolan (Latest Batman Trilogy) reboot Superman. Warner Bros has a lot ridding on this, and the buzz has been very good. Marvel/Disney continues to make movies I want to watch, and adding Sir Ben Kingsley as The Mandarin sounds amazing. Here is hoping we get to see Smaug in this movie! The Hobbit Trilogy rolls on. 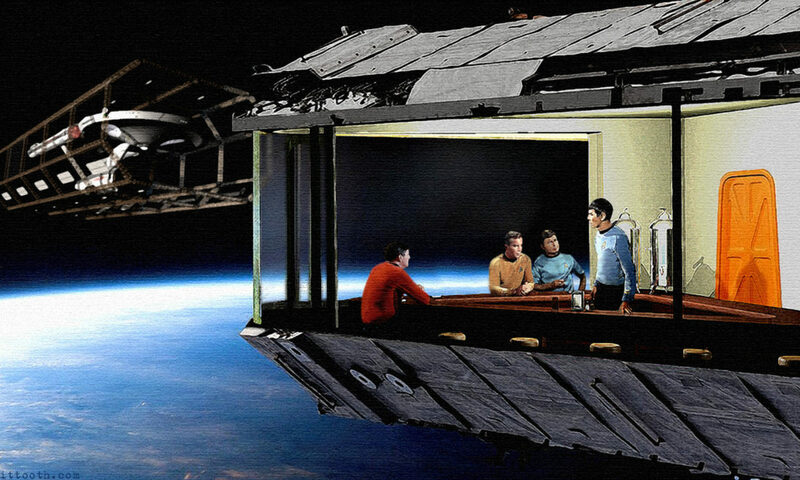 The first J.J. Abrams Star Trek movie was better then anyone expected, and now the hype is out of control for this second one. Please, Please be good, and oh yeah it has Benedict cumberbatch in it! Guillermo Del Toro, Giant Monsters vs. Giant Robots, and Idris Elba! Plus they beat the crap out of San Francisco. I can’t wait, I really need to build that time machine. I ordered all the parts I just have put it together yet. So that is my list tell me what you think or even add your own! My last rant about the future of DC mostly turned in to a rant about the future of the Justice League, so I decided to turn my sights to the Dark Knight himself. DC has several options available to them as where to take the Batman series and I am going to explore a few of them. The first option and probably the worst option is the reboot the franchise. I think everyone knows how Bruce Wayne becomes Batman, and I don’t think many people want to see that again, so whatever they do they should keep Batman’s past in the past, mostly anyway. The option they seem to be trying now, if the rumors are accurate, is pay Christopher Nolan a ton of money and hope he brings Christian Bale with him. This would make a lot of movie fans happy, and I am sure they would make a lot of cash, but we have kind of done their Batman, and it is all mopey and sad, very good, but I am not sure how much more realistic bleakness we can all handle. They should pay Nolan a lot of money stay around Warner Bros though. It would be a good investment. The next option is to make a movie with Morgan Freeman and Joseph Gordon-Levitt, and make almost a Batman Incorporated movie with Lucius Fox sort of running Batman franchises to try and keep crime at bay throughout America. It would be fun and they already have the pieces in place to make it happen. The last major option that I am going to put forward is to do a Batman Beyond movie with an aging Bruce Wayne handing over the reigns to a young protégé, and guiding him every step of the way. This lets Warner have a new Batman, but without the need for a reboot plus you can incorporate all sorts of fun Sci-Fi elements because it would be the near future. Of the options that I put forward I like the last two the most. They both take the Bat in new directions and allow the studio to show us something exciting, and since I like Sci-Fi a Batman Beyond movie sounds amazing, but I am pretty sure they will try their hardest just to give Nolan tons of money, which will be good, but just not super original, but we will see, and this post is on the internet, so maybe I will change some minds (it won’t). 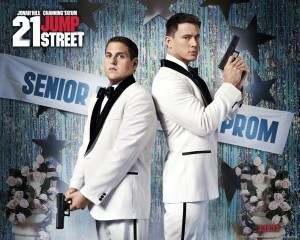 21 Jump Street is a movie based of a television show from 1987. A show I might add that when Mom wasn’t around I enjoyed watching as a kid. They decided to play it for laughs instead of the drama that it was initially, and it mostly worked. The movie starts as we watch Morton Schmidt (Jonah Hill) and Greg Jenko (Channing Tatum) in high school, Jonah is a geek and a looser, and Channing is a cool jerk jock, but they graduate and get to know each other in Police Academy, and become partners. They screw up their first bust and they get sent to a restarted under cover project called Jump Street as punishment. Because in the police force being an undercover detective is worse then being a bike cop. At Jump Street they are sent back to high school to bust a new designer drug ring. Hilarity ensues. This movie mostly works because of the chemistry between Tatum and Hill. They seem to be having a great time making this movie and hanging out together and it brings you in to it. Hill plays his normal unsecure overweight guy, and Tatum plays his normal good looking dumb guy throughout this movie but for a buddy cop comedy it works, and watching thirty year olds navigate an ever changing high school scene is quite funny. They also throw in some over the top action just because, and it is always appreciated. If you are in for watching some raunchy high school humor, it earns it R rating, and writers blissfully destroying a “classic” show from the ’80s this movie is worth a watch. What is Next for DC Movies? DC/Warner Bros is having a hard time moving forward with its super hero movies. They don’t want to let Marvel/Disney soak up all the profits, but at the same time they have no clear vision on what to do, and like all geeks on the internet I am going to give them my unsolicited advice. Disney when they bought Marvel they also bought got Kevin Feige. He is the man with the plan as far as the roll out for Marvel based films. DC has no such person. They were hoping the Christopher Nolen would be that person after the success of his Batman movies, but after The Man of Steel comes out he is putting dudes in tights behind him. DC is longing to do a Justice League movie, but unlike Marvel they have not been following a path to get them there, and establishing their characters, and Batman is at the end of his trilogy, so he will need to be rebooted, or at least recast, so they are hoping that Superman does well in his next outing so they can base the League around him. I think this is a horrible idea. They should be proactive. They should do a Justice League movie with some of the lesser known Heroes in their catalog. They have tons of people to choose from. Cyclops, Plastic Man, Martian Manhunter, a new Green Lantern, and of course Princess Diana of Themyscira herself Wonder Woman. I think they could make a great JLA movie with Wonder Woman as the lead. DC has done a great job with the new Wonder Woman comics, and she is a fun character, and what is best is that Marvel doesn’t have a great female hero out now to counter her. They could even start the League with her warning the world about some awesome classic monsters attacking the human world and her enlisting some help to deal with them. I think they could also bring in the Green Arrow from the TV show. He is doing a good job, and would be a fun crossover. Plus they would have at least one established hero. Whatever DC does they should not be sitting back and praying that The Man of Steel does well to build around him. Superman is a hard hero to pull off, and if it does not do well then they are years behind schedule and Marvel will have had five super hero movies out by then. DC needs to buck up and take a risk on their lesser known cast and let them bring home the bacon for once. Wonder Woman for the head of the Justice League. I am breaking glass ceilings everywhere.